Finding a trail of ants leading into your home is the first step in getting rid of the ants. Here's why: Ants rely on a scent left by their scouts to guide the workers from their colony to specific food sources in your home. The trail is made of pheromones, natural chemicals the ant's deposit along their route, like a trail of breadcrumbs. When you discover a trail of ants, don't try to remove the trail right away. First, set out ant traps along the trail. The worker ants will follow the trail to the traps and bring the food (and poison) from the trap back to the colony, where it kills the colony. After the traps have done their job, you must clean the trail to remove the pheromones and prevent them from attracting more scout or worker ants. Vinegar has so many uses in the home, and sure enough, it can help with ants, too. 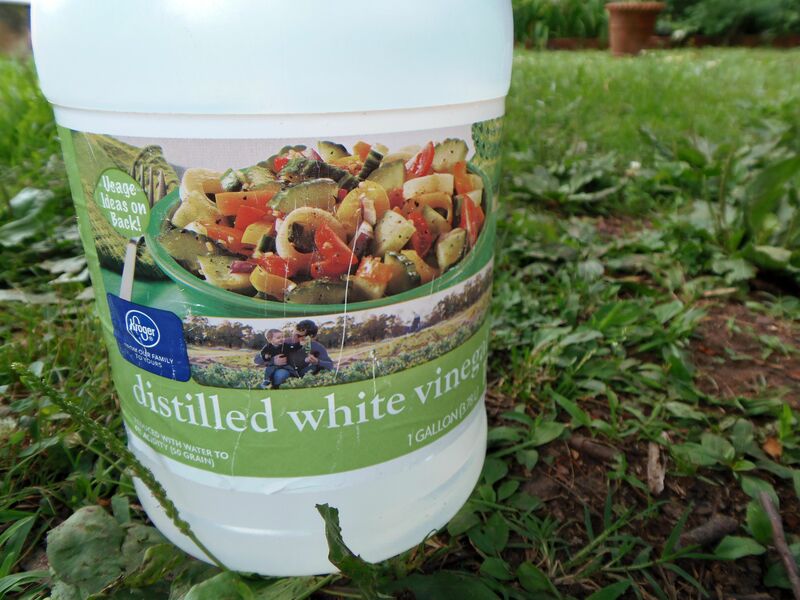 Fill a new, clean spray bottle with vinegar. Spray the vinegar along the ants' trail. Allow the vinegar to dry. Don't use vinegar on tile grout or natural stone, as the acid in the vinegar can etch or break down the material. ​Another magic cleaner, baking soda is a great tool to help remove the scent trail of scouter ants. Combine the baking soda with water to make a scrubbing paste, then apply it along the trail. You can also use baking soda in dry form, sprinkling it along the trail and in any cracks and crevices. Boiling or very hot water can help wipe out a scent trail left by ants outdoors. For obvious reasons, it's not a good solution for a trail of ants indoors. The easiest and safest way to use boiling water is with an electric kettle or tea kettle, as walking around with a pot or pan of boiling water is dangerous. Carry a kettle-full of hot water outdoors and pour it liberally over the trail. Ground cinnamon can also be a useful tool to remove an ant scent trail. Ants hate cinnamon. They'll go out of their way to avoid any cinnamon scented or coated areas. Spread cinnamon along the ant trail, including cracks and openings. If you can wrestle some sidewalk chalk away from a nearby child, you'll have a great tool to cover up an ant scent trail. Draw directly over the trail with the chalk, then extend the trail by several inches on either side. The ants won't be able to smell the trail and will look elsewhere for food. Similar to the effects of cinnamon, chili powder is a great cover-up for an ant scent trail. Sprinkle your trail of chili powder along the same trail that ants have used. Be cautious with using chili powder around kids and pets. Scrubbing with a commercial cleaner is a good option to remove the ant scent trail when others have failed. Murphy's oil soap, or cleaners that have orange oil, are most effective. Make sure any cleaner you use is safe for the surfaces where you apply it.